The attention to detail we pride ourselves on is evidenced throughout The Barge. We offer a selection of cakes and flapjacks, perfect for a treat or snack. The menu's and cakes we offer are constantly changing to offer freshness and variety. Our restaurant has all the facilities you will need . We offer a wide range of teas. There's no change of Tea being overshadowed by coffee's and latte's at The Barge. Our traditionally styled wide beamed barge has been built and finished with an attention to detail that reflects the passion we have for our businesses. However, its not just The Barge itself that we take pride in. We strive to produce wholesome, traditional and modern dishes made with fresh local ingredients for our customers to enjoy. View snaps of our dishes, The Barge’s authentic, welcoming interior and visit us for a unique and memorable dinning experience in North Cornwall. We started The Barge to offer a unique dinning experience in North Cornwall. There are dozens of fantastic eateries in Bude. However, we wanted to immerse our customers in the beauty of our surroundings, by offering a tranquil setting from which to enjoy traditional and contemporary dishes showcasing the best ingredients that North Cornwall has to offer. Tea And Cake For Two, Why Not Share The View? 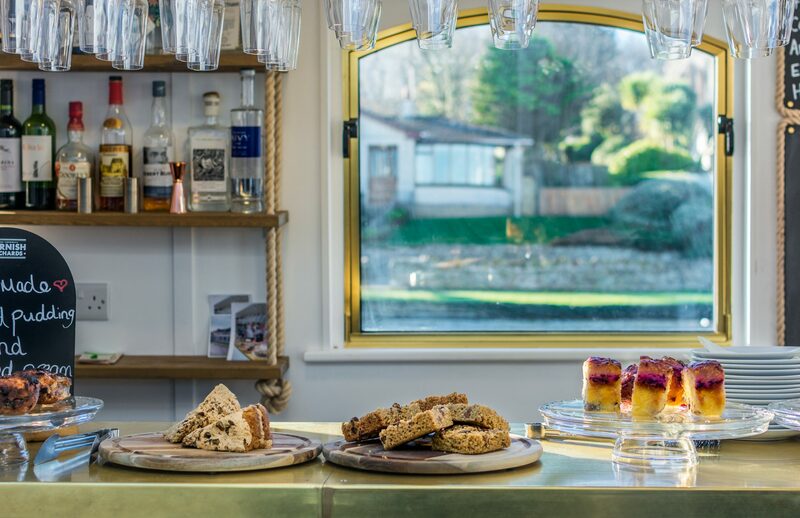 With a selection of freshly prepared cakes and a healthy choice hot beverages, including several types of tea, coffee, latte and hot chocolate, The Barge provides the perfect destination to relax and break up your day. With a selection of affordable hot and cold snacks including: Bread and Olives, Chips, Salads and Sandwiches in addition to our specials and main meals, we hope that you will enjoy your time on The Barge. Lit up by The Wharf or glistening from the setting sun, Bude Canal is a magical location from which to savour a memorable dinning experience. We use fresh local ingredients including locally sourced meats, fish and vegetables in our dishes which are all prepared in house by an expert chef. 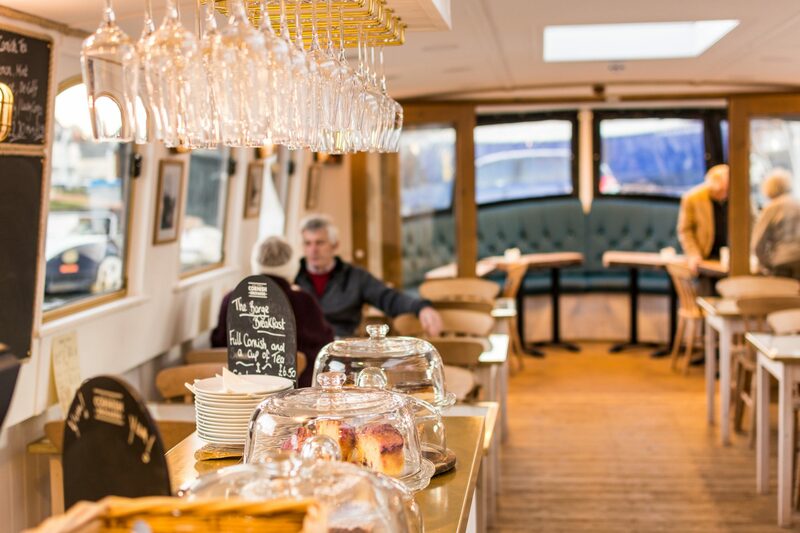 Housing a fully licensed bar serving wines, spirits, stouts and lagers, The Barge team take pride upon ensuring that the quality of our food, extensive range of beverages and the level of customer service experienced, matches the beauty of our surroundings.